SXSW 2019 is officially over. Austin’s 10-day festival brings hundreds of thousands of people together to share ideas on creativity, innovation, and education. That, and for some really great concerts. Though we don’t yet know this year’s numbers, SXSW 2018 featured 4,967 speakers, 2,057 music acts, and 139 films and created an economic impact of $350.6 million! 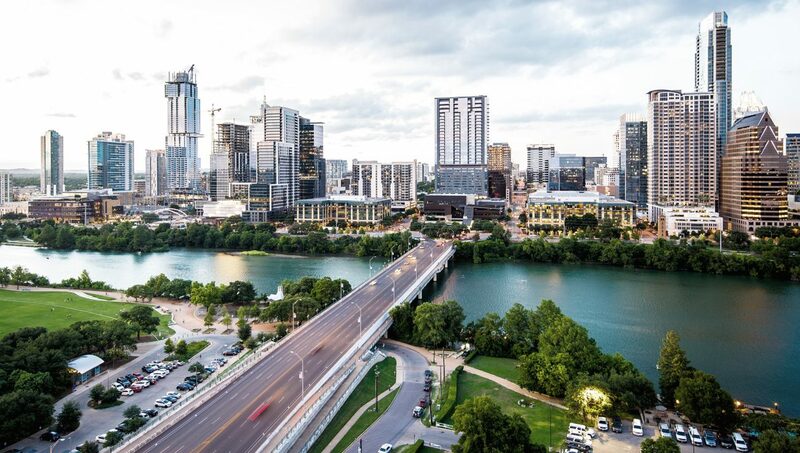 The iconic Austin event has a rich history and richer culture—read on for our take on both and a quick 2019 recap. In 1987, a group of locals, Roland Swenson, Louis Black, Nick Barbaro, and Louis Meyers, dreamed of bringing the world to Austin’s talented music scene. They expected push back from the city and for little more than 100 people to come, and were surprised when 700 showed up for the festivities. Now known by many names—South by Southwest, SXSW, and South By—the event has grown in its 31 years, adding film, interactive, and gaming components in 1994 and events around the world including SXSW EDU, an educational innovation conference, and the me Convention, a collaboration between Mercedes-Benz and SXSW in Frankfurt, Germany. Staying true to its roots, among the over 2,000 acts performed throughout the city, 569 were international acts representing 66 different countries—effectively bringing the world to Austin. And, as the largest music festival of its kind (161,000 people participated in 2018), it’s also been the catalyst for many successful music careers spanning nearly every genre the likes of Amy Winehouse, Kid Cudi, and Bon Iver. The film festival spans just five days, highlighting independently produced and studio level productions alike, many of which use South By as a platform to premiere them, including the likes of Baby Driver, The Disaster Artist, and Bridesmaids. A practice which has continued with this year’s headliners: The Beach Bum, Us, Pet Sematary, Booksmart, The Highwaymen, and Long Shot. The interactive festival focuses on emerging technology worldwide from expos and workshops to keynote speakers and panels. In 2019, the festival offered ten program tracks to cover the latest advancements in multiple industries and allow attendees a more comprehensive experience in everything from Blockchain and Cryptocurrency to Style and Retail. Twitter (2007) Okay, so Twitter actually launched nine months prior to SXSW 2007, but it gave the brand an initial audience. Airbnb (2008) SXSW was Airbnb’s third company “launch”. Starting out they had a hard time getting traction, but are now worth an estimated $38 billion. Foursquare (2009) Foursquare used the SXSW start day as their deadline to get the company up and running. It paid off. GroupMe (2011) GroupMe gave out free grilled cheeses and beer to entice SXSW attendees and has been at the event ever since. ICON (2018) ICON 3D prints homes with the mission to reduce the cost of homes to just $4,000 and bring affordable housing to those without adequate shelter. This year has seen a lot of excitement. Due to the wide media coverage, politicians are now flocking to South By for direct access to voters with appearances by Beto O’Rourke, Alexandria Ocasio-Cortez, Amy Klobuchar, Howard Shultz, Elizabeth Warren, and John Hickenlooper. People are also talking about musical performances like Edie Brickell & New Bohemians, Odessa, White Denim, Susto, and Moritz Simon Geist—to name a few. The 2019 SXSW Pitch, where new startups pitch to potential investors, had three winners: Derq, Pathway, and ENZO Tyre. God of War won the SXSW Game of the Year. And, The HBO series Games of Thrones invested millions in their South By Southwest appearance to promote their final season and raise awareness for the American Red Cross. SXSW will take place March 9-22, 2020! For a good deal on badge pricing, consider South by Southwest 2020 early bird registration, open now through March 31st. If you can’t wait until SXSW 2020 to start marketing your business, we can help.